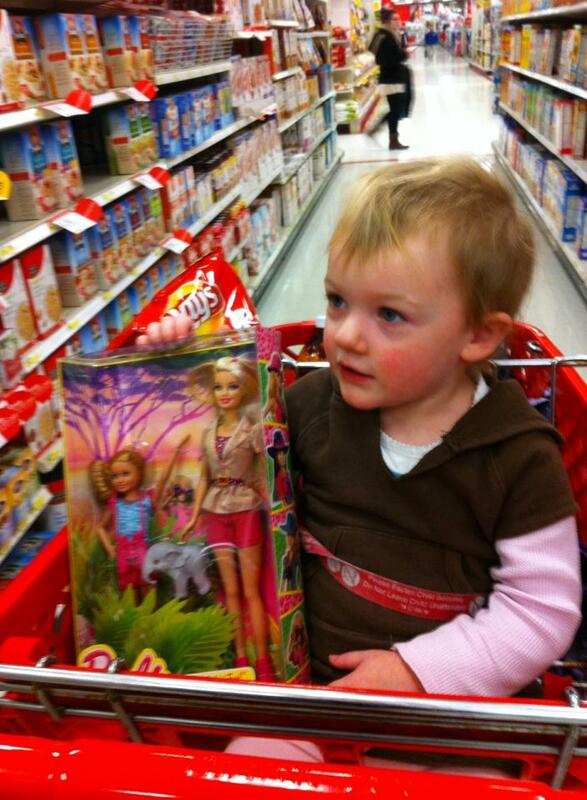 Caroline fell in love with these two Barbie dolls at Target yesterday. These are her first Barbie dolls! We opened the box after her nap and she played with the dolls for 24 hours straight. The Barbie’s are now a close second to her favorite baby doll, Baby Grace! She immediately took to the dolls, referring to the Barbie as “Mommy” and the little girl Barbie as “Caroline”. Caroline, has no doubt that her mommy is as beautiful as this Barbie. All the while, I’m thinking, “I’m not Barbie, trust me! I look nothing like that doll! What I would give to have the body of that Barbie doll!” As I tear myself to shreds comparing myself to this Barbie doll, my daughter isn’t thinking any of my self-defeating thoughts. As a result of watching my sweet girl playing with these Barbie dolls, I realized my daughter doesn’t see my aging skin, the extra pounds, or my wrinkled skin. All she see’s is beauty! She loves me unconditionally! As I write this I wipe a few tears away, as I recognize the depth of the bond between a mother and a daughter. This beautiful depiction of two Barbie dolls being hand-puppetted around at the fingers of a sweet two year old girl, simply melts my heart! Seeing her genuine love and adoration for her mother, makes me want to be the most Godly mother possible. She makes me want to be healthy, emotionally whole, and kind-hearted! As my heart is overflowing with love… I praise God for His beauty in our lives! Lord, Thank you for the blessing of my daughter! I cherish every song we sing, tea cup we share, hug embraced, butterfly kisses at night, and the admiration in her eyes to be just like her mommy! I thank you for this time, to be able to interact with her in such simple and tender manners. Lord, help me to hold these joyful memories, deep within my heart, soul, and memory! Help me to always remember these special moments! Most of all Lord, help me to be a Godly mother! I want nothing more for my little girl to see “You” when she looks at me! I want to teach her how to be a Proverbs 31 woman. Lord, I will fail! I do everyday! However, Lord I pray you cover me in grace as I mother this true gift crafted in such beauty by the molding of your hands! Lord, all I have to say is, “Wow!” You are awesome! A true picture of my daughter and I. So much more beautiful than two Barbie dolls! First, your Caroline is a little beauty! And second, I love this post. 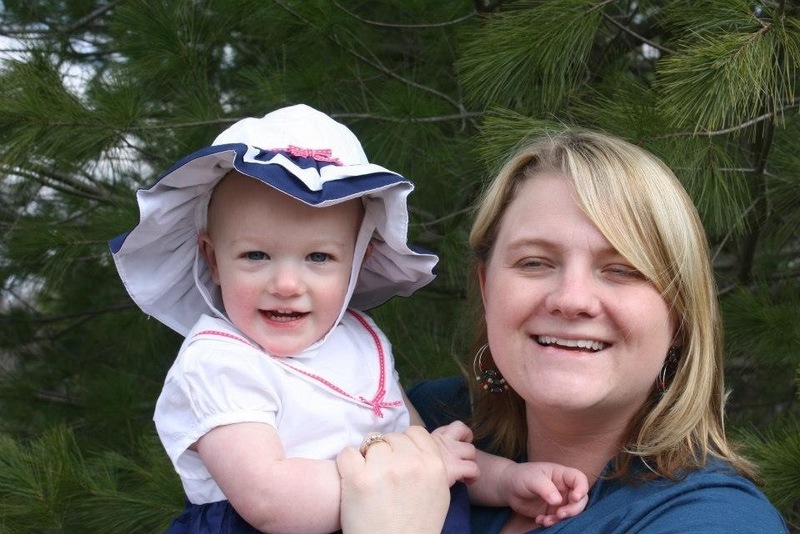 I have a daughter who is 36 now, and I love watching her and HER daughter, who plainly adores her mom. Such a blessing. Awww! Thank you so much! I’m sure it is a blessing watching your precious daughter interact with your precious granddaughter! Thank you for your sweet comment!